At the Links Camping and Caravan Park we offer you the seclusion of the countryside with the facilities of a small seaside resort surrounded by many market towns. 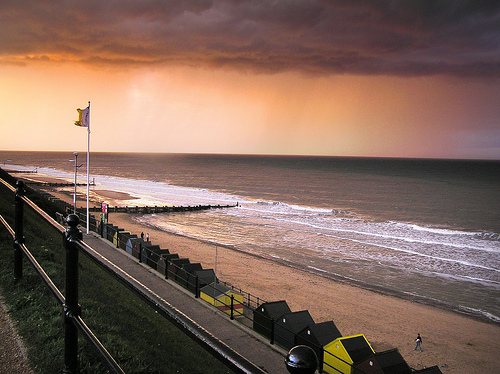 We are situated just 5 minutes walk from the village and 10 minutes walk from mundesley beach and its excellent amenities. Our small site has a capacity for 32 caravans with electrical hook up and 28 tents with limited number of electic hook up, and as we are not situated near any main roads you can relax, taking in the superb and perhaps unequalled southern views of rural North Norfolk or you can hike around the beautiful countryside.